Crypto mining has received some bad mining press lately. People claim that mining is not profitable and this is just not true. Returns on investment are very good compared to most businesses and generally average one year or better during bull markets. It really depends on your setup, your electricity rates and what you are mining. For example mining in Texas is generally more profitable than California because electricity rates are low. If mining is done properly it is typically a one year return on investment. If mining farms want to realize their gains in US dollars it is very easy to convert crypto-currency back to US dollars or sell the Bitcoin mined in the open market. This is especially true during a bull market. 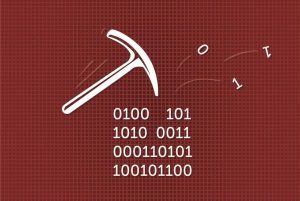 If you are new to crypto mining use this crypto-mining calculator to calculate your profit. Here in Texas you can get commercial rates ranging from $0.04-$0.07 cents per kwh. Currently BTC has been very stable at around $6000/BTC and we are in a bear market. Mining companies are ramping up for the next big bull run and we know this first hand because we are helping them expand. Those who enter the mining market now while the price is low will make the best profits and will be able to take advantage of market runs. Those who wait to start mining while the price is increasing rapidly will not see the same profits and will most likely miss opportunities. We tend to see people take interest when markets are in bull runs which is far too late. Starting up a commercial size mining operation takes a little time especially if you plan to run hundreds of ASICs or GPUs. Expect at least 2-3 weeks to get your operation moved, fully operational and stabilized. We focus on making your operation profitable by providing the power infrastructure you need to grow. The sooner you get set up the more likely you will have the opportunity to ride the next bull run. Mine while prices are low, sell when prices are high or “You snooze, you lose”. We have the space to grow our power infrastructure up to 4.50 MegaWatts in our North Texas locations. We are growing this infrastructure in stages and every month we add more feeds so crypto-miners can move in and take advantage of low cost electricity, rent and labor. Our power feed rental prices are much cheaper during bear markets but if there is another bull run, prices will be adjusted according to market demand. Locking in your power feed and electricity rate before the next bull run will help maximize your potential profits. Fall and winter is the right time to grab low electricity rates. Since our facility is already running mining farms you will be able to negotiate lower rates. We have several commercial locations designed specifically for cryptocurrency mining. This is not shared space, we offer strictly dedicated space for medium to large scale crypto-mining operations. You are in full control of your operation and not paying profits or commissions to Dexa Resources. You can rent space and set up on your own operation or if you need help we can provide the following crypto-mining services. Although there are environmental arguments to mining crypto-currency there are also positive aspects such as the growing need to decentralize the monetary system. In the long run we could potentially reduce the overhead of power used by banks and financial institutions and focus more on decentralized mining. If your interested this article discusses how banks consume over three times more energy than Bitcoin mining. Bring your CPUs, GPUs and ASICs. If you are starting to mine crypto-currencies and would like to grow into a commercial operation our locations are specifically designed for commercial crypto-mining. Large amounts of power and custom cooling is available at these locations. To receive rental rates visit our craigslist ads or contact us directly. For more information visit the links below. Get your space ASAP, these spaces rent fast.